“Even the best players don’t have the perfect game, that’s part of golf’s appeal, but I’m committed to helping people exceed their expectations.” We hope you can spare the time to drop into our Golf Studio when you visit, as we are sure you will like the range of equipment, clothing and accessories on offer – we also have buggies available for hire should you need one. We have installed two state-of-the-art systems for analysing and improving individual performance – high technology techniques that are used by the world’s most successful coaches and players. They are Flightscope® and V1Pro. Flightscope® tracks the flight of the ball after it is hit, measures ball speed, maximum height achieved and backspin. V1Pro uses the latest video techniques for analysing the golf swing and delivers personalised analysis and instruction online. Call The Golf Studio on 01480 223004 or just drop in when you are passing for information. 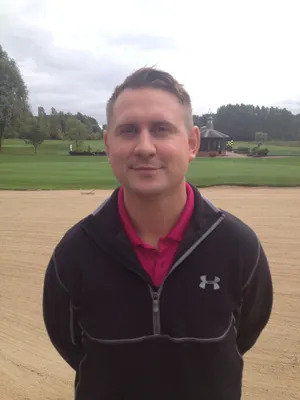 PGA Professional, Bedfordshire County Coach, Bedfordshire CAP Coach. I have been coaching at Wyboston Lakes since 1999 and passed my PGA exams in 2002 with a merit. During this time I have gained a good reputation for my coaching and I have many pupils who return on a regular basis Since 2007 I have been the coach to the Bedfordshire under 14 squad, and I have seen many members of this squad reduce their handicaps to scratch or better during this time. In 2012, I started to coach on the County Academy program. This is a program of lessons for juniors of all age groups, the focus is to help these players reach county level. As well as individual tuition, I also offers group coaching. I currently run popular Junior, Beginner, Ladies and skill session groups. Please ask for details about the next course start dates. 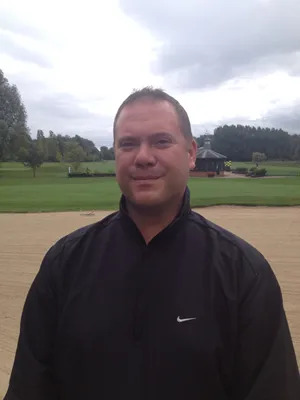 David has been at Wyboston Lakes since 2007 and gained his PGA level 2 coaching qualification in 2015, therefore he is able to coach all players, weather looking for that quick fix or someone wanting a long term goal e.g. breaking 100 or 70, David also has experience coaching juniors in a group and on a one to one basis.